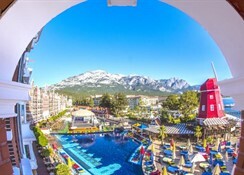 Orange County De Luxe is a 5 star complex situated in Kemer, Turkey. 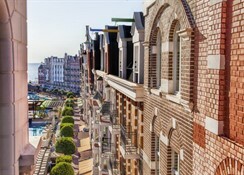 It consists of 539 rooms designed to offer guests comfort and services. The private beach, the indoor pool, the 9 restaurants, the 7 bars, the massage service, the Jacuzzi and the other hotel facilities create a dream environment for the guests ensuring them a relaxing and joyful stay. 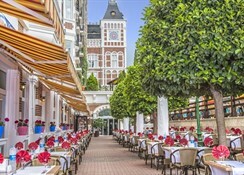 It is an ideal choice for those looking for a marvellous holiday. The complex is 250 m from the town centre of Kemer, 50 km from the Antalya city and 60 km from the airport.